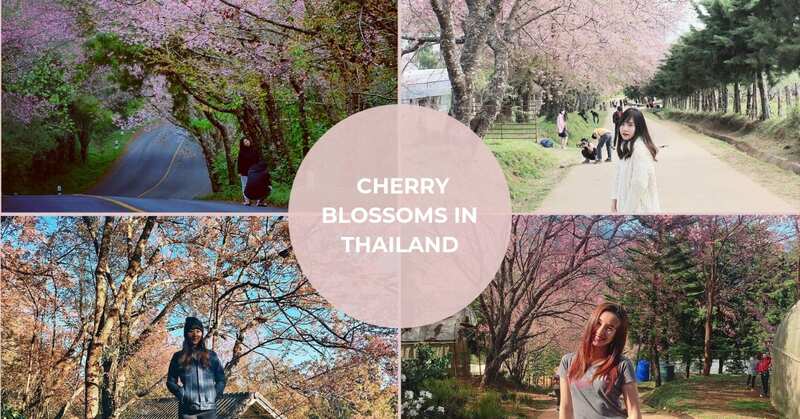 Thailand Has Cherry Blossoms In Jan & Feb And Here Are The Best Viewing Spots! 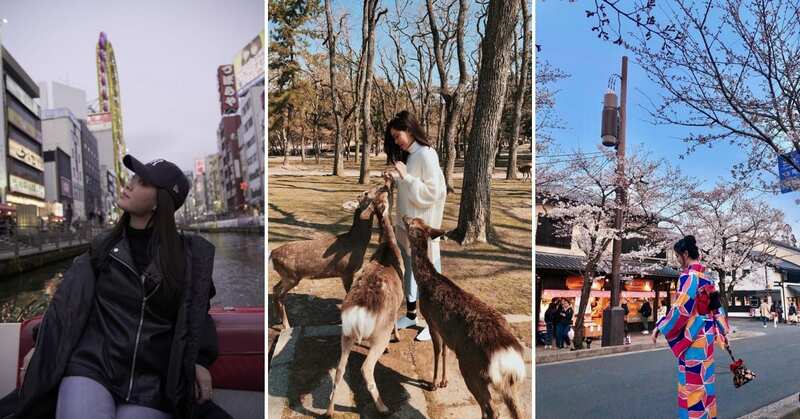 Home > Bangkok > Thailand Has Cherry Blossoms In Jan & Feb And Here Are The Best Viewing Spots! 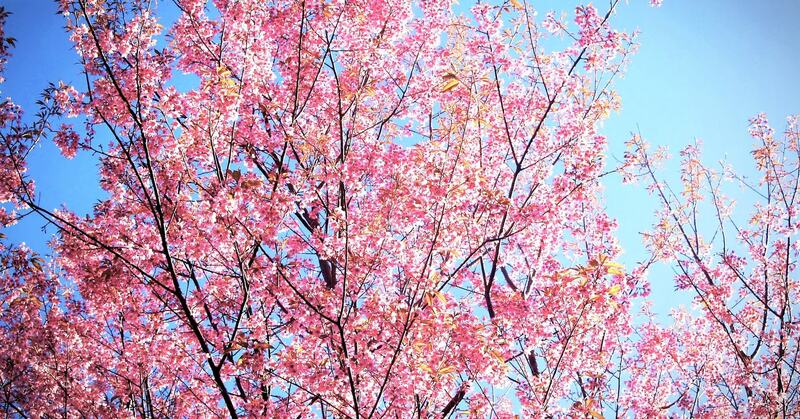 Yes, believe it or not, tropical Thailand is actually home to beautiful cherry blossoms! Found in North Thailand, primarily in Chiang Mai and Chiang Rai, the cool weather in the high altitude works to their advantage. 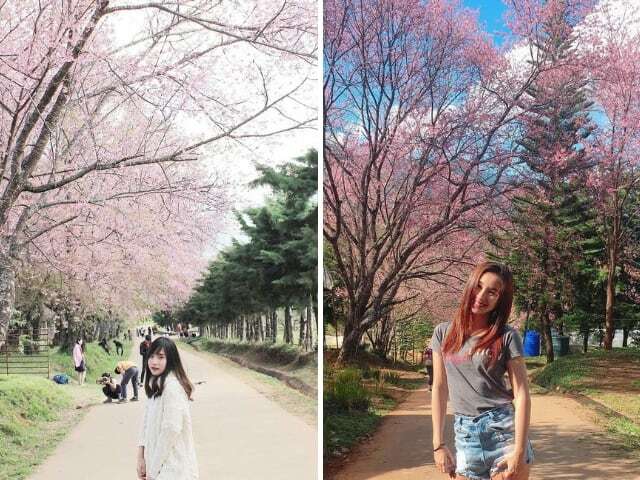 The sakura species that is found in Thailand are the wild Himalayan cherry trees, also known as Nang Phaya Sua Kroang or Tiger Queens by the locals. If you don’t have the means to make your way to Japan or Korea, it’s worth a trip to North Thailand instead. 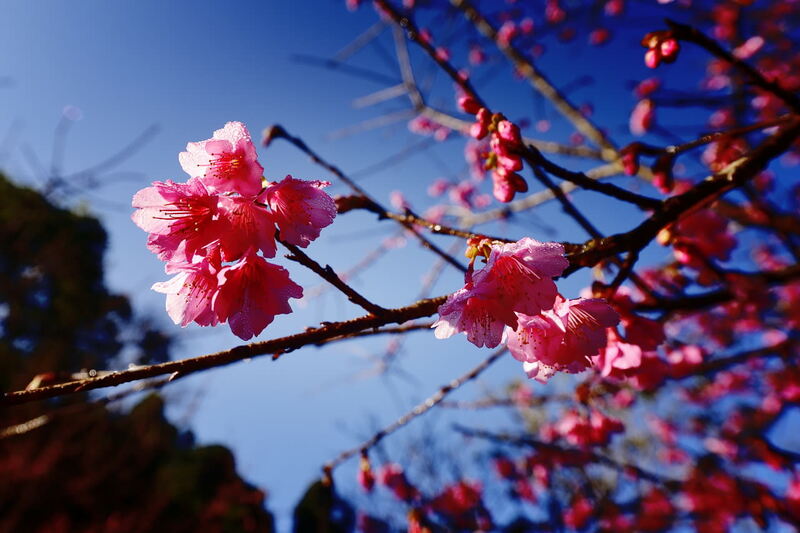 While the bloom of cherry blossoms are subjected to weather condition, a good bet would be to visit between mid-December to mid-February. The wild Himalayan cherry trees usually bloom during the winter season in North Thailand. 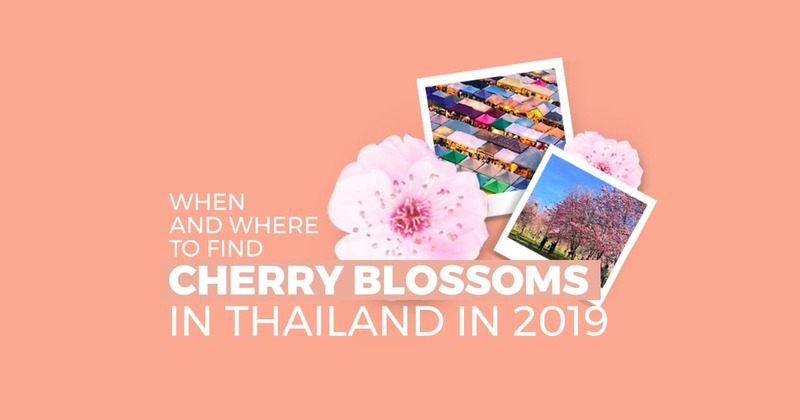 While it may be different from year to year as well as the season in each location, January is generally a good time to visit these places to catch these Sakura of Thailand! Sitting at the top of the Doi Suthep Mountain is Baan Kun Chang Kian, also known as the Khun Chang Khian Highland Agriculture Research Center. As an effort to draw in more visitors, cherry blossoms trees were planted at the grounds. The cooler weather certainly works to its advantage because you can see them bloom during the colder months from late December until mid February. Also, nearby this lush garden are Wat Phra That Doi Suthep (a temple) and Hmong (Khun Chang Kien) village that that are worth a visit! Go on a fun cultural experience with a tour to Doi Suthep and Hmong Village. 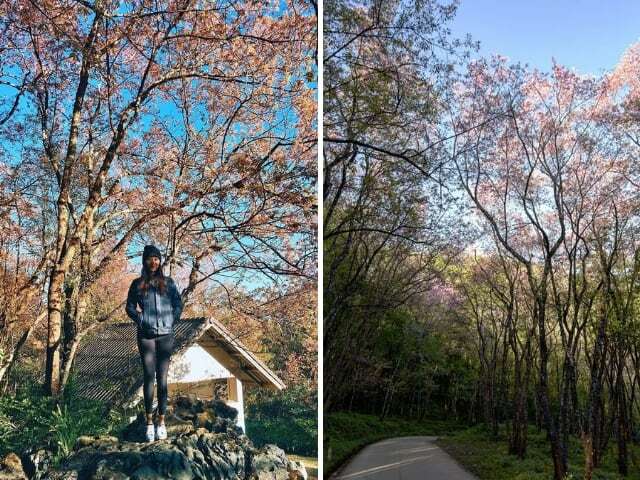 Located in the agricultural centre in Doi Inthanon National Park, you can fulfil your dreams of walking under canopies of cherry blossoms in Khun Wang. Transforming into a sea of pink during full bloom, it’s definitely a sight worthy of a king or queen! Besides standing under the cherry trees for your Instagram shots, make some time to check out the fruits in the research garden like Chinese pears, plums, peaches, nectarines, and strawberries. We hear you can pick and eat them as well! Immerse yourself in nature with a day tour to Doi Inthanon National Park. At 1,400 meters above sea level, Doi Ang Khang is easily one of the most beautiful gardens you can find in Thailand. Also known as the Ang Khang Royal Agricultural Station, this manicured garden is a thing of beauty when the cherry trees are in bloom. Whichever time of the year you come, you will get to enjoy the sights of their seasonal blooms and Did you know that the temperature in Ang Khang can drop to as low as -3 degree-Celcius at night? 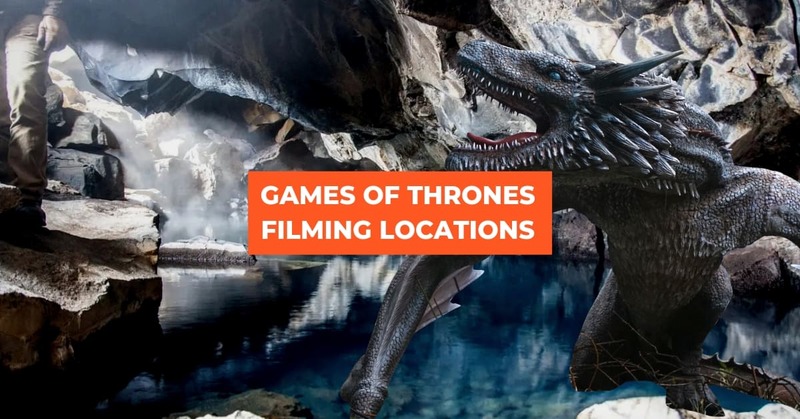 Time to start packing those winter gear and head to this location! 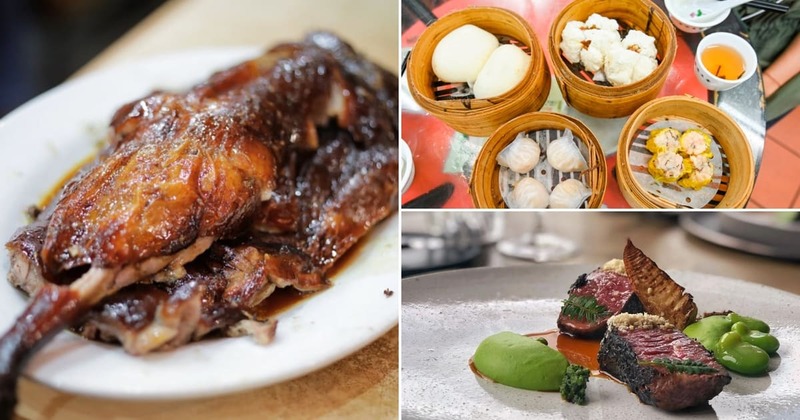 When the words ‘Doi Chang’ is mentioned, you will first think of coffee! Come winter season, and the hills are alive with stunning cherry blooms! 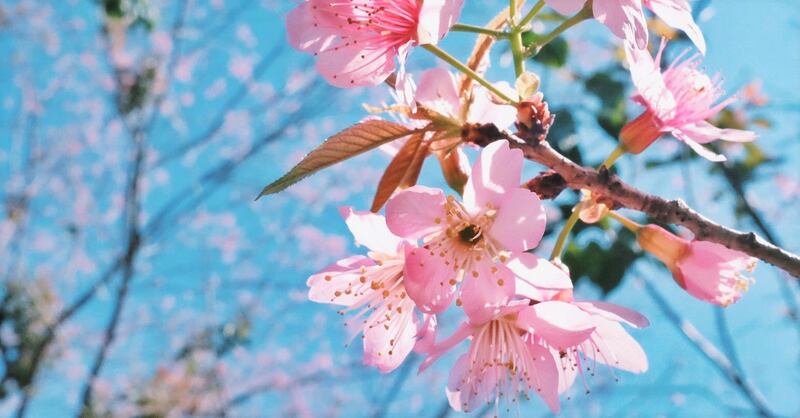 Planted with over 500,000 cherry trees, you’ll be hard-pressed to encounter a boring sight. Aside from the cherry blossoms, you can also find a myriad of other beautiful blooms from petunias to poppies, begonias and more. Of course, the view is that much better accompanied by a cup of the famous Arabica coffee. A hilltop village home to the ethnic Chinese group in Thailand, Doi Mae Salong has been compared with the likes of Sapa in Vietnam. Known primarily for its production of oolong tea, the mountain also blooms into a pink hue during the colder months. There is also an annual Doi Mae Salong Tea & Sakura Festival to celebrate the elusive cherry blossoms as well as the oolong tea. As you sip your tea, there are cultural activities and ethnic performances lined up to keep you entertained. At over 1,600 meters above sea level and two hours away from Chiang Rai city centre is Phu Chi Fah, one of the best places to take in the view of Thailand and Laos. 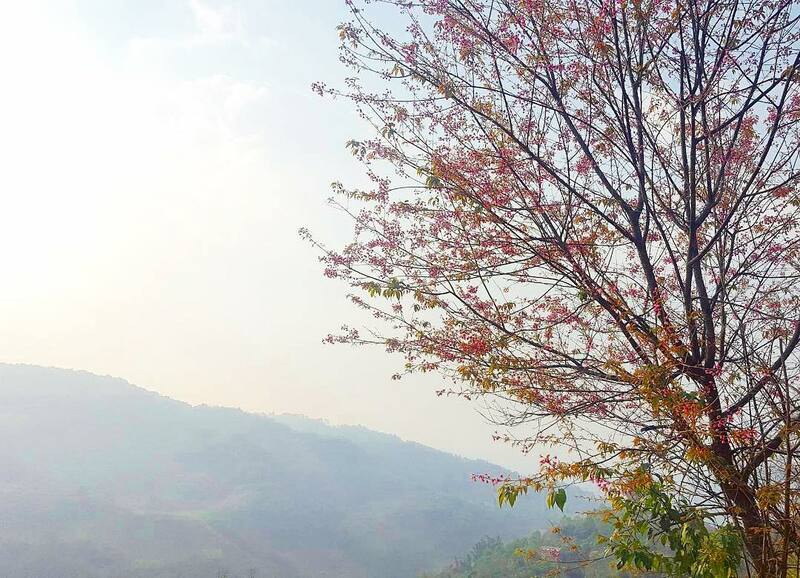 In January, you can find cherry trees blossoming at the peak of Phu Chi Fah. This hidden gem holds plenty of natural wonders as its sunrise view will steal your heart. If you come at night, on the other hand, you can also see endless stars glittering across the midnight sky. So even if you’ve missed the sakura season, you’ll still get some pretty kickass views! What used to be a cabbage plantation in Phu Hin Rong Kla National Park is now home to over 100,000 Tiger Queen cherry trees. 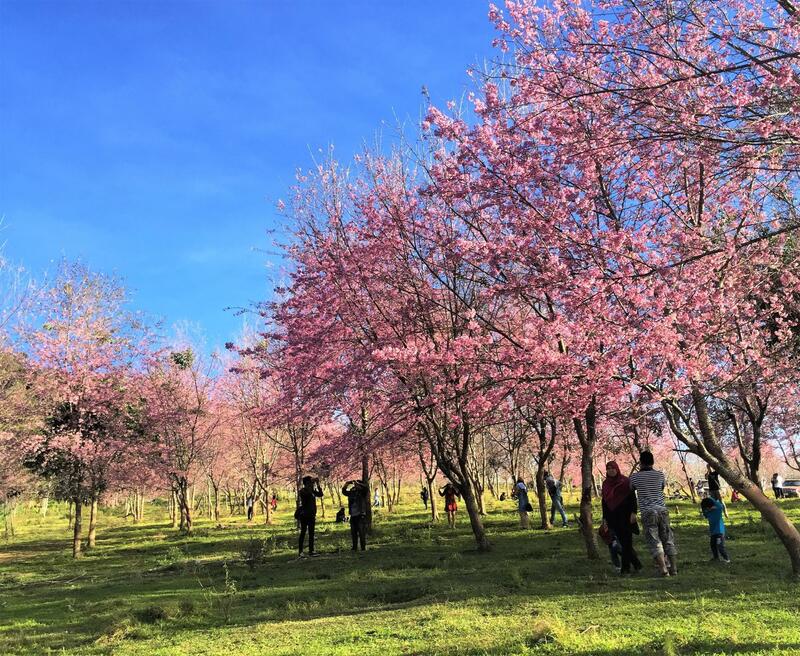 Planted by Hmong farmers several years ago, the plantation site now blooms with cherry petals every January and February, promising its visitors a wonderful sight to behold. With weather that rarely goes above 10-degree-Celcius, you best bundle when visiting Phu Lom Lo in Loei! For the nature lovers, you’ll be glad to know that there are other natural wonders to be found as well like waterfalls, caves and an abundance of flora and fauna. Make sure to stay connected throughout your Thailand cherry blossoms chase with a 4G SIM Card so you can update your Instagram stories! To get around easily, Klook yourself a Chiang Mai car charter or Chiang Rai private charter. You can also get a private city transfer between Chiang Mai and Chiang Rai! 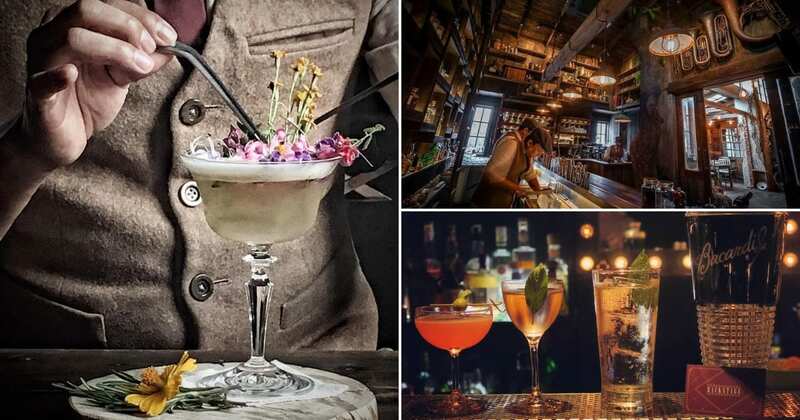 Head over to Klook for more Thailand day tours, activities and attractions. 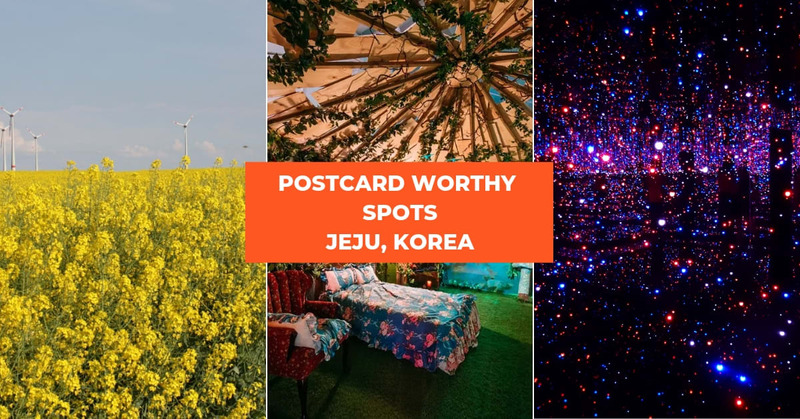 Next post [Quiz] Find Out Your Lucky Travel Destination For 2019! Previous post Take SGD8 Off And Win 1 Of Klook's 12 Lucky Angpaos This Chinese New Year!